In the current flood of Ayurvedic wellness offerings, medical quality control is urgently required. Our excellently trained doctors and therapists as well as management guarantee medical excellence of authentic Ayurveda in Bad Ems. 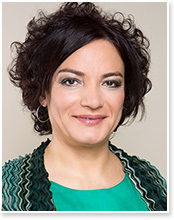 When Dr. Karin Pirc began her career in Ayurvedic medicine, the word Ayurveda was not well known in Germany. She was an energetic innovator when she opened Germany’s first Ayurveda health centre in Schledehausen in 1985. In 1993, together with her husband Lothar Pirc, she opened the Maharishi Ayurveda centre in Bad Ems. Advanced training with well-known Ayurveda experts such as Vaidya Dr. J. R. Raju in India made her one of the leading German specialists in Ayurvedic pulse diagnosis and Panchakarma. In 2006, Dr. Karin Pirc was given the prestigious Indian “Global Hakim Ajmal Khan Award” and became the first woman and first European to receive this award. At the Raj Ayu Con 2013, an International Conference on Ayurved & Complementary Systems of Medicine in Rajkot, India, she received the “International Lifetime Achievement Award”. It’s the highest award of the Raj Ayu Con organizing committee. 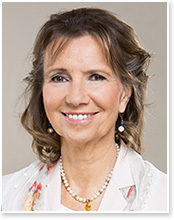 Dr. Karin Pirc is also the author of several successful books on Ayurveda. Lothar Pirc is a real “global player” – and Ayurveda is certainly one of the central focal points of his life. At the age of 22 he had already become a teacher of the Transcendental Meditation programme, studying in France, Germany and Switzerland. A career in the hotel business in Switzerland and teaching activities in the area of Ayurveda in The Netherlands, Kenya, Cyprus and USA followed. 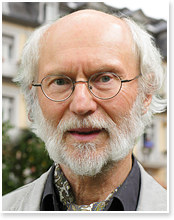 In 1992 Lothar Pirc, along with Dr. Karin Pirc, founded the Maharishi Ayurveda Health Centre Bad Ems, which is Europe’s leading centre for Ayurvedic medicine and Panchakarma today. Highly decorated for his contributions to promote the application and recognition of Ayurveda, he has been presented with awards several times, and that keeps this visionary motivated even to this day. And he is not considering slowing down. He is a popular speaker and author of several scientific articles, and he travels around the world continuously to share his work and knowledge. If you can’t reach him at the Centre, you may want to visit him at his homepage www.lotharpirc.com! There is lot to learn about the Transcendental Meditation programme and Vedic Sciences and you may want to inquire about setting up speaking engagements on these topics. After her studies at the Tehran Shahid Beheshti University, the native Iranian Dr. Nazanin Norouzifar became a specialist in orthopaedic surgery. When she probed into the causes of these physiological conditions, she discovered Ayurveda. An eight-month intensive training at the Maharishi Ayurveda College in Chelny, Russia followed in 1999. Today this medical doctor combines her experience in orthopaedic surgery with Ayurvedic therapy for prevention and treatment of chronic diseases. She has been a valuable member of the medical team in Bad Ems since 2013. Aurel Christ, the son of Dr. Karin Pirc, has grown up with Ayurveda all his life. From 2001 to 2005 he first studied digital media, acquired the Bachelor of Fine Arts and worked as a graphic designer in the USA for four years. He then studied human medicine at the Justus-Liebig University in Giessen, where he graduated as a medical doctor in 2015. He speaks fluent English as well as Swedish and in 2016 he worked in the acute care medicine in Sweden. At the end of 2016 he began his medical work in our private clinic, as well as his professional studies at the European Academy of Ayurveda for the Master of Science in Ayurveda. 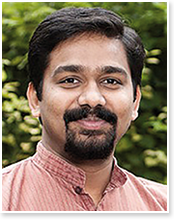 Vaidya Sajin Philip was born in Kerala, the state in southern India which is known for its tradition of authentic Ayurveda. He studied medicine at the Government Ayurveda College in Thiruvananthapuram and graduated with honours in 2006. Since 2007 he practices authentic Ayurveda in India and abroad. 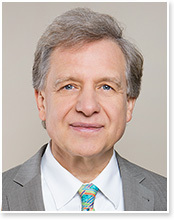 During his time in Europe, he has provided Ayurvedic consultations and pulse diagnosis to patients in Slovenia, Austria, and Switzerland and has supervised Panchakarma courses of treatment. He has a good command of English and German. Vaidya Sajin Philip has also guided the production of two Ayurvedic documentaries, The Spice Route and Hortus Malabaricus. In his work as a general practitioner Dr. med. Dietrich Wachsmuth combined classical modern medicine with alternative systems of medicine. He participated in naturopathy and homeopathy continuing education courses and worked as a teacher of meditation and health advisor. He did his doctorate on the subject of the condition of the human physiology during meditation, sleep, dream and waking states. Immediately after his training in Maharishi Ayurveda, he founded the first Ayurveda health centre in Germany along with Dr. Karin Pirc and Dr. Johannes Christ in Schledehausen. Starting in 1991 he was the medical director there. 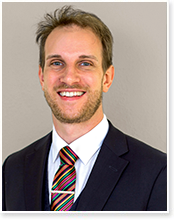 Since 2010 he has been a member of the team in Bad Ems after working in Hamburg and in Rhineland-Palatinate.